We live in times when new technologies play an increasingly important role, especially in the business world. It seems that companies that do not adapt to this new technological revolution will soon disappear. Artificial Intelligence is changing the business world, especially in the area of marketing. Lately, the concept of Artificial Intelligence is very fashionable. But do we really know what it is? Colloquially speaking, Artificial Intelligence are machines that begin to think for themselves, that can reason, learn or even empathize. Their purpose is to make human life easier, simplifying our daily tasks and helping us to be more productive. In an even simpler way, it can be said that AI is the reasoning process established by computer programs based on specific systems. These systems allow devices such as computers, smartphones or tablets to operate in a very similar way to human beings. It seems to be a lie, but the concept of Artificial Intelligence has been around for some years now. Specifically, it began to have importance in the 50s when John McCarthy and his colleagues began their studies on this concept. The American coined the term AI as “science and engineering capable of giving intelligence to machines”. From that moment on, the world turned around. The trends of these years have been stepping strong, digital marketing is increasingly important when developing a good strategy in our business. The majority of the world’s population is connected to the network, so it is very important to know how to communicate with users to convince them that your business is the best. Capturing the attention of users is one of the keys to success, so they are constantly introducing new developments to develop better campaigns. Artificial intelligence applies systems that allow communication with the consumer in a more direct way. That is, through a series of programs somewhat complicated to understand, you can analyze the behaviour of users to find what they really want and need. Internet campaigns are cheaper than other campaigns. Each business can elaborate as it wishes a campaign with scarcely investment that will begin to see the results in the moment that the publicity is launched. Better results. By analyzing the results when the campaign is underway, you can change or see in what is good or bad the advertising you want to offer. Excellent analysis of the environment. It is possible to find out what are the reasons why customers are interested in that item, service or information in question and gain a better competitive advantage over the rest. Customer service. It must be made clear that the customer is fundamental to a business and therefore must always have the best for their satisfaction. Artificial intelligence applied to marketing campaigns accelerates and solves everything that is a problem for the customer in a very effective way. There are telephony solutions such as Call Center Software that provide the company with efficiency, effectiveness, and quality customer service. As we have a great variety of information from numerous clients, studies can be carried out to develop new products or services that are a trend among users. It is essential to analyze which strategies are the most appropriate to carry out campaigns that provide your business with greater profitability and quality. To do this, it is necessary to combine a series of models that strengthen the commercial strategy, such as prediction models. Use of a high visual content that increases the attention of the users through images, videos, gif, etc. International phone numbers as a tool that allows statistical reports of campaigns. They are virtual numbers which don´t require investing in equipment or installing anything. The cookies allow to store data of the clients and to be personalizing what the user looks for. There are several uses that Artificial Intelligence has found in marketing, dealing with tasks that previously took a lot of effort and time. Now, marketers can dedicate themselves to managing activities that before did not give them time. Let’s see where we can use it. Artificial Intelligence can do a market analysis for us, especially for consumers. It can accumulate data, creating Big Data and in an instant get all the information we need about customers. In this way, we can easily make a market segmentation, know the habits of consumers, and even predict which needs and when they will have. This way, they will be offered the products they really want and just in time when they need them. They will also be able to predict sales, making it easier to decide which product to invest more advertising in. If you think that Artificial Intelligence will be able to write a blog, create an infographic or make a video for you, I’m sorry to say no, or at least not yet. For now, it is not capable of creating such complex content, although the first attempts have already been made and we are closer to achieving it. They can now generate reports or informative notes, or send an automatic mail. Surely in the future, we will be able to read an entire newspaper created by a robot. Apart from text content, Artificial Intelligence can do other incredible things. One of the most useful is to create recommendations. As we mentioned before, it studies the behaviour of consumers and knows them like no one else. Thus, the typical recommendations of “if you liked product X, you will also be interested in product Y” will be much more accurate and effective. And not only for e-commerce, in streaming applications, you can recommend to users movies, series or songs according to their tastes or even according to their moods. Before, in order to find the information we were interested in, the best way to do it was to search Google. It was hard to imagine that this system could be replaced by another. But indeed, Artificial Intelligence has achieved it thanks to the voice assistants such as Siri or Cortana, which totally changed the way of searching and SEO. People no longer search for information with short keywords, but use entire phrases. For example, if someone is looking for a restaurant, they are no longer looking for “restaurants nearby”, but “Where is a restaurant near me? A chatbot is a software that simulates a conversation with the user, as if he were a real person. It is the future of customer service. So, when your customer has a question about a product, he can use the chat to solve it, getting an instant response. In addition, over time, they will learn what the tastes and preferences of consumers are, being able to offer them the most personalized and effective help. Currently, there are technological alternatives, such as WebRTC, the new IP telephony, which allows us to make more efficient use of telephony while still fulfilling its traditional function: making and receiving calls. We speak of IP telephony as a great advance and solution in this field because it offers the advantages of digital, but at the same time offers customers the personal treatment that generates confidence when consulting information or handling a complaint. 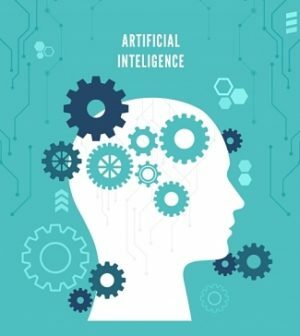 Why implement Artificial Intelligence in your marketing strategy? New changes are being implemented in the telecommunications sector, changes that are, for the moment, the basis of a not too distant future. Artificial intelligence is and will be a fashionable tool in the next few years due to the comforts and facilities it provides both for a person’s day-to-day life and for digital marketing campaigns carried out in business. As one can see, implementing Artificial Intelligence in marketing strategy has many advantages. Tasks that used to take a long time are shortened to a minimum. So marketing becomes much more efficient and, by shortening the waiting time to get the answer and give them what they really want, customer satisfaction is improved. Moreover, if we don’t use it, it doesn’t mean that our competitors won’t. Don’t be left behind! Emma Smith, PR and content manager at Fonvirtual. Fonvirtual provides companies and entrepreneurs with international virtual phone numbers and other virtual services. I’m interested in digital marketing, technology and international logistics. I collaborate with different blogs, where I try to spread the word of telecom services in international business. You can connect with me on LinkedIn.